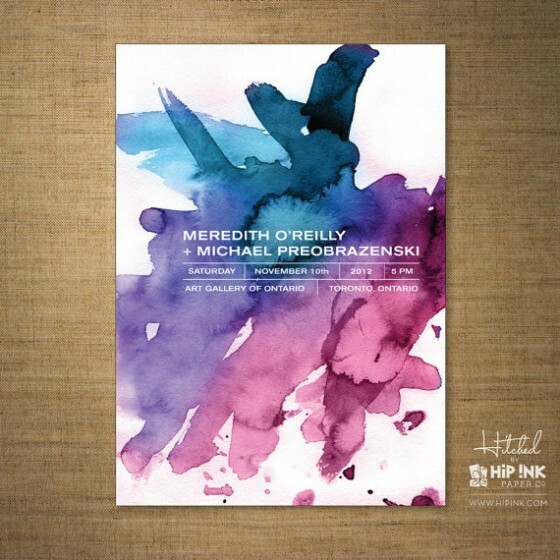 Welcome to our wedding color community. 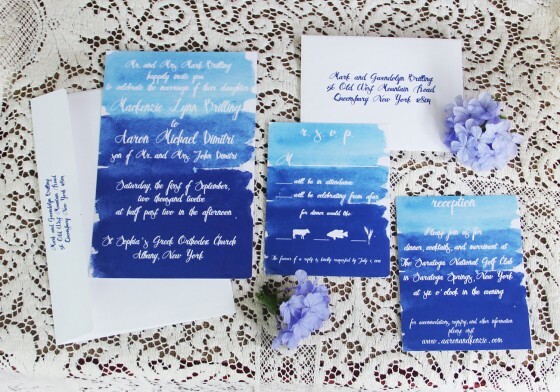 Here you'll find the latest wedding-focused Palettes and Patterns, as well as Blog, Trends and Forums to help guide your special day. 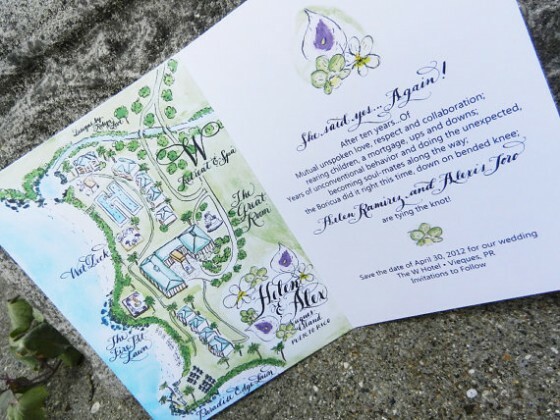 Trends in the wedding industry tend to change often and when you’re getting married, the time of year will most likely reflect the season and the color of that season. 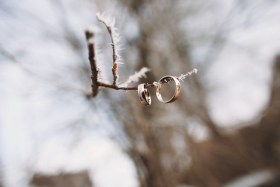 It’s very important to create an atmosphere that adds personality and style to your winter wedding and using color is the perfect way to do this. It’s not always just as simple as saying you’ll use one of two colors you like, there are hundreds out there that may look better than others, especially when the snow is falling and your cold outside. Darker colors are what we would recommend in general if you’re having a winter wedding, this goes for bridesmaid dresses and everything else. You’ll find that people tend to wear darker colors as it’s colder and duller in the winter season, this doesn’t mean to say your day is dark and gloomy though, the colors simply add to the beauty of the day. Coat your wedding day in the majestic color of rich purple, it’s so complimentary for different figures, but it also makes a beautiful tie and groomsman color too. You can decorate your tables and ceremony in this purple color too add a little royalty to the day. The richness of the dark purple color is sure to add some mystery to your day, but it works well even if the weather outside is frightful. 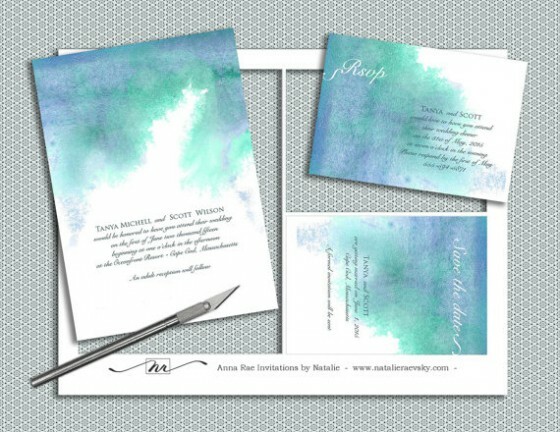 It’s the perfect complimentary base color to accent colors like grey and white and will be a perfect match with wedding dresses. 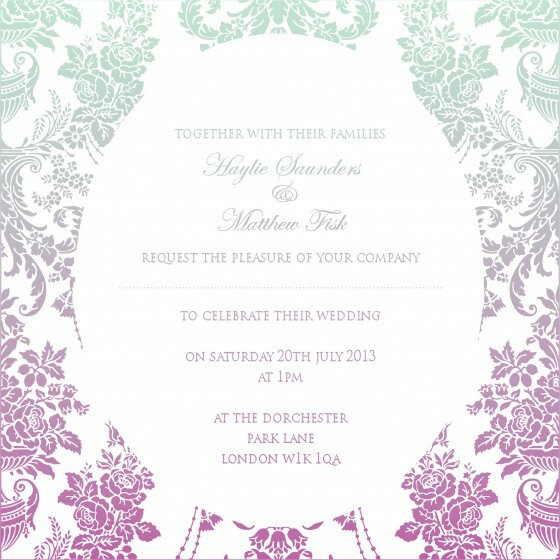 Perhaps also add pale lilac for a softer scheme for your wedding day. Contrast a dark ivy with the winterberry colors, and you could have yourself the best and most beautiful winter wedding there is. Berry colors are ideal in the fall months, but when it comes to winter, people forget they even exist. Yet, if you’re willing to put them with some metallic colors such as champagne or ivy, you could have yourself a wedding you’ll never forget. This is even better for winter weddings taking place near Christmas as berry colors are all the trend around this time. The muted berry scheme contrasts well with the accent metallic colors to create a playful delicacy many brides only ever dream of. Plus, muted berries always look amazing for mother of the bride dresses! While we often associate pastel colors with summer colors such as blush pink and peach, these colors work well with a winter feel too. Make your wedding the ultimate wintery vibe by adding duskier colors such as purple or gray to make it everything you’ve ever wanted. Pastel gray colors are perfect for the frosty days where the snow is falling meaning even if your bridesmaids wear this style and you use it as your base color it will work. 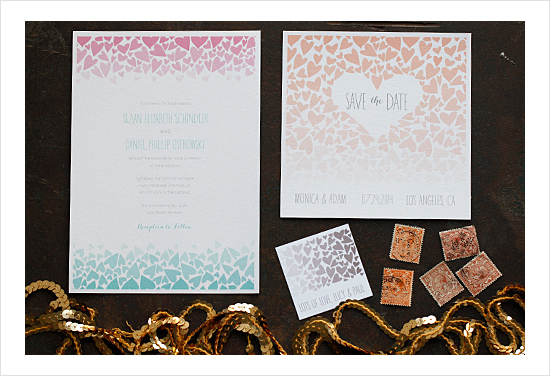 Add accent colors such as soft pinks and darker grays to add even more dimension to your wedding day. 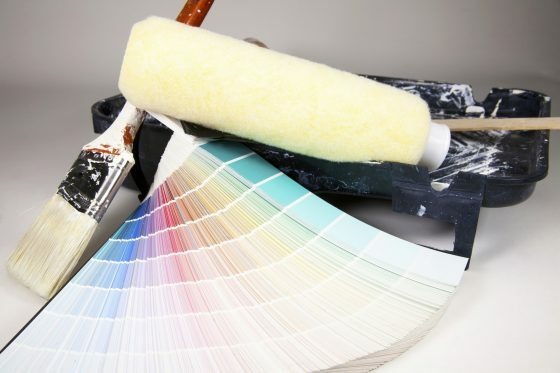 However, make sure you add some brighter colors in certain places as it can seem dull if you use dark colors everywhere. 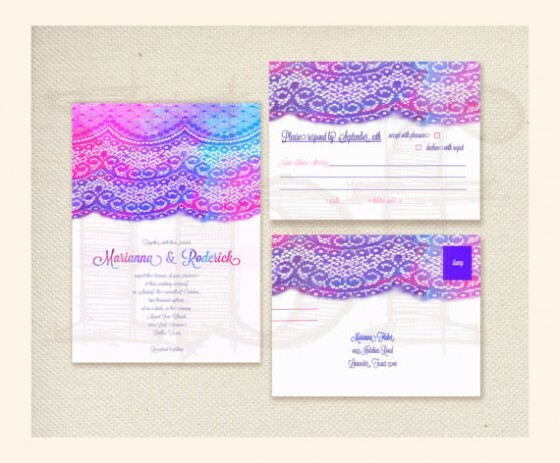 We would recommend possibly a purple or pink color to add a little light into your big day. 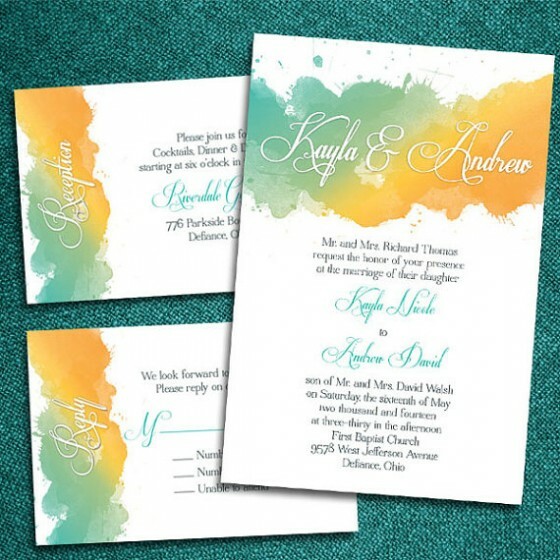 Every designer knows the art of using colors to elicit a desired emotion. 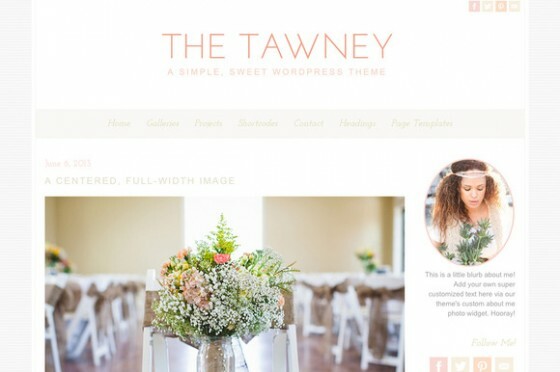 Whether it is to create a certain comfortable feel in a bedroom, setting the right tone for a web page, or creating a mood for shops or restaurants; choosing the right color palette is a critical design decision. But did you know the same principals apply when creating a work of art? Take photography as an example. Manipulating elements within the image can produce a dramatic difference to the feeling of the shot. Understanding the elements involved – and the techniques for manipulating them – can help the new artist achieve results that go beyond creating beautiful images and instead help make a deeper emotional connection with the viewer. Photography is often referred to as painting with light. And light has its own color. Light falls on a sliding scale of warm (yellow and orange tones) – most often associated with sunshine or daylight, to cold (blue tones) - created by man made florescent type lighting. Light sources can even shift within the scale, like sunlight depending on the time of day. The hour just sunrise or before sunset is called “The Golden Hour”the blu by photographers because the sunlight has a soft, warm, golden hue. 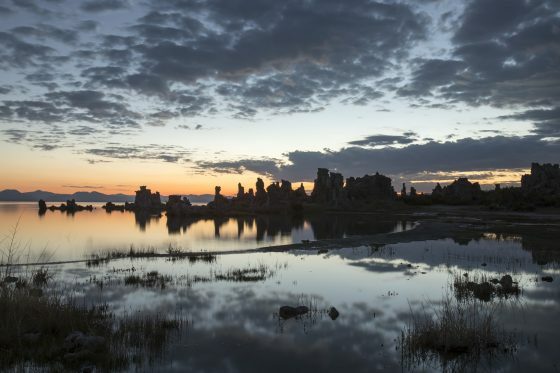 But the hour just before sunrise or after sunset is referred to as “The Blue Hour” because the angle of the sun to Earth is allowing only the blue spectrum light to appear. Photographing the same subject just hours apart will produce dramatically different feels to an image. Light can be manipulated through the use of filters. In prehistoric times, photographers had to physically attach gels to the front of the camera lens. 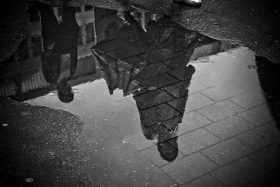 Fortunately today the same effect can be achieved within your Smartphone or by using post processing software like Adobe Lightroom or Photoshop. Use them to enhance the feeling you are looking for with an image, or to completely change the feel of it altogether. 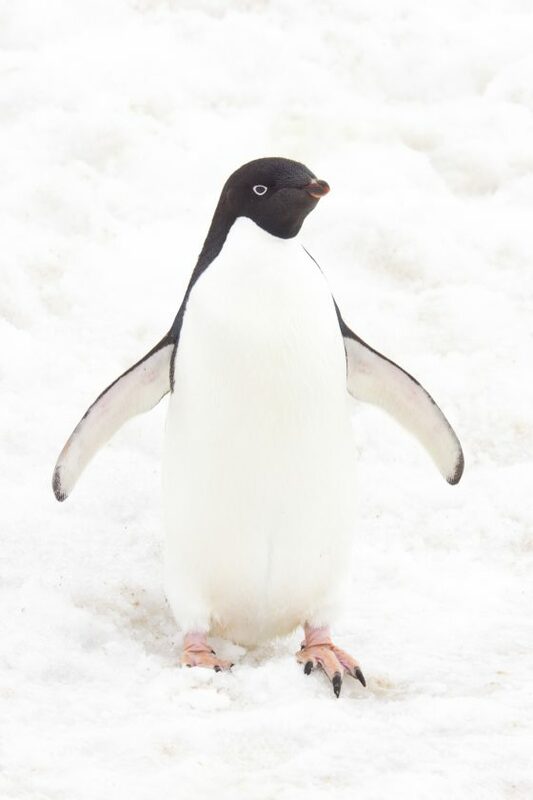 The most obvious place to identify a dominant color is in the main subject of the image. 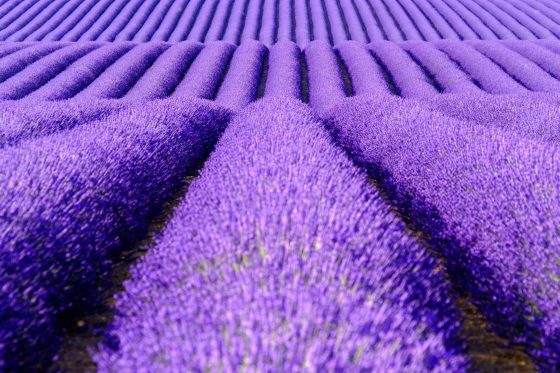 A photograph of a field of lavender – or a green meadow – are pretty obvious examples as to their color palette. 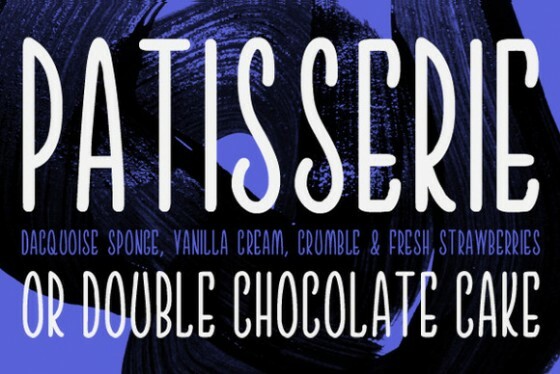 Subtler can be the hues of a sunset, or uniforms of a marching band on the streets. 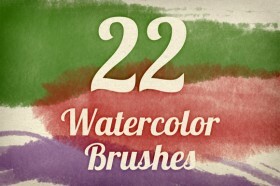 Controlling the dominant color sets the feeling for the piece – both the positive or the negative. 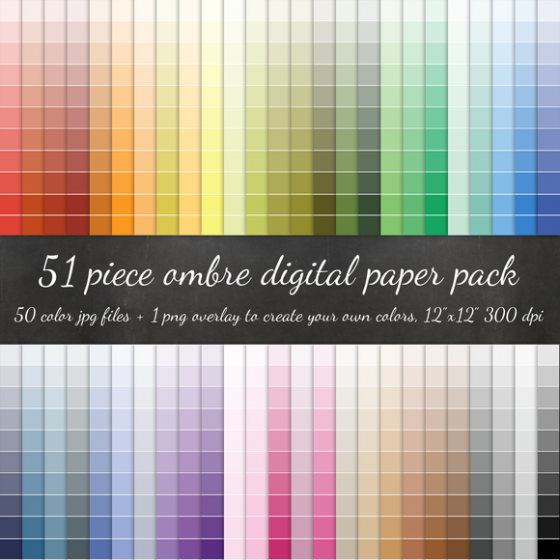 Combining colors will also have the effect of combing emotions. 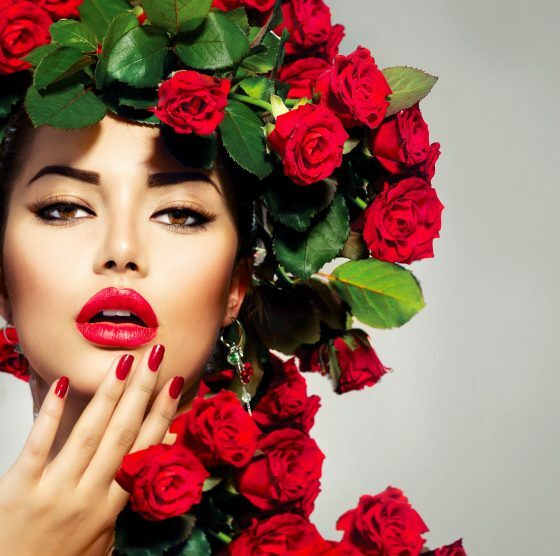 A woman in a red dress against a black backdrop can show the darker, evil side of passion. A green plant sprouting in a brown forest shows hope or renewal, while the same plant shot in a sun kissed meadow can show tranquility. So the next time you are out shooting with your camera, stop a minute to think of the emotion you want to elicit from the viewer and apply your color palette well. These colourful images were provided by Dreamstime.com. Artistic pavements, also known as street art, street painting, and sidewalk art, or artistic performances designed to give an aesthetic look or design to the pavement. Examples of these fortunate pavements are subways, sidewalks, streets, recreational ground paths, and town squares with semi-permanent or completely impermanent drawings created using materials like chalk. The art of modern artistic pavements can be traced back to Britain, where pavement artists were nearly all over the Kingdoms. Most of these artists in the late 19th century were earning their living as full-time pavement artists in major cities like London and Manchester. Today sites like SaveOnPaving.com have delved deeper into this trade by providing enthusiasts with insight about artistic pavements and their contribution towards aesthetic on our streets. Screever is a British name given to pavement artist. The term originated from the Copperplate writing style, which often accompanied the pavement artists’ works since the early years. Screevers works from time immemorial were often accompanied by proverbs and poems, political commentary, lessons on morality based on a particular period event. They produced a topical pictorial illustration of current events or trends and appealing to all people, the literate and the illiterate. This phenomenon explains the importance of art as a tool for educating masses or preserving the historical heritage as all can understand visual images. Most importantly, for Screevers to earn their living, they would also try and catch the eye of the elite in the community to attract their money offered as donations for their efforts. These noble people have earned different titles across the world such as chalk artists, and a title street painter is mostly referred to in the USA and Madonnari in Italy because they are known to have recreated the images of the Madonna. In Germany they are called Strassenmajor; a title coined from two words, namely streets (straßen) and painters(mailer). Madonnari traces their origin to the sixteenth century where they were mostly itinerant artists, who had come to Rome and other cities to work on the cathedrals. After completion of work, they needed another way to earn a living, and that is how they started recreating the paintings borrowed from the church on pavements. They would also travel to attend holy days and festivals held in various towns and provinces, participate in the festivities and make a living from impressed observers’ donations as a show of goodwill and approval of their artistic work. To make a living from onlookers who would offer coins to them if they approved of the artist's work. Madonnari mostly viewed as simple folk artists used to reproduce simple images using simple materials, e.g., coal, tiles, chalk, coal, and charcoal. Street art has evolved from the 1700s to the 21st century where items of focus, the motivation behind the art and the generation of artists we have. It everywhere takes over walls of buildings in major towns and cities, covering the subways and the streets and painting the world too. It has evolved to be a more creative form of art. The artistic pavement evolution began in 1973, where street painting began to be promoted across Italy through the formation of a two-day art festival starting in Grazie DI Curtatone, Mantua Province. Kurt Wenner, world's most popular street artist and one of the proponents of modern day street art, In the 1980s, he practiced 3D pavement art. This art is referred to as anamorphic art or one-point perspective art too. It is an old technique, but put into work successfully in recent years, mainly through the use of computers. To see the image correctly, you have only to view it from a specific angle. In the United States, the concept of impermanence has over the years been a problematic concept for art lovers to embrace. This notion can be blamed on the fact that ours is a materialistic culture where we don't believe or want to accept that an artist's work should wash away. One of the largest street painting events in the United States is the Lake Worth Street Painting Festival. It is usually held in Lake Worth, Florida and was started in 1994 attracting a record 100,000 visitors over a weekend. Examples of great artistic pavements work in the US are; Leon Keer – At Chalk Festival in Sarasota, Florida, Street Art by Ron English in New York, USA, Yarn Bombing – R2D2 in Bellingham, Washington, USA, In Johnson City, TN, USA and Daddy Long Legs – In Seattle, USA among many others that are on your street and i haven't mentioned them. World over decorative sidewalks has become a norm, but with a diverse approach from the olden days, e.g., use of 3D in the artwork. But we would do well to appreciate where this strange ritual originated. Looking at significant civilizations leaves us in awe as we ponder through the great works of art. In Portugal, artistic pavements ideas came from Rome. The work consists of using small flat pieces of stones that arranged in an image or pattern, just like a mosaic. Artisans first lay bedding of gravel on the well-compacted trench using argillaceous materials. The gravel helps accommodate the tessera stones that act like cement. After preparation, careful placement of rocks follows. This process of placement is done manually by placing each stone at a time. After stones placement, finishing works are done by spreading a cement mix on the pavement for compatibility effect. Finally, the artwork is complete, and the outcome of the great work wows pavement users. With few people wanting to stick to the kind of craftsmanship seen in Portugal and Italy, street art practice may be coming to an end. But there are people who are still saving this noble through integrating simpler ways of doing it in the past, and a new approach by use of anamorphosis concept also described as a Renaissance-era of artistic thought. Through this method, a deformed image, form and only appears in its correct shape when viewed from a specific position or in an unconventional way. This method is called three-dimensional (3-D). In 3-D art uses two processes, namely additive where an artist creates a form using materials or subtractive process that removes materials from an already existing form. - This refers to any artwork attained through manipulation of materials resulting to a 3D object. Materials used are from plastic, glass, etc. 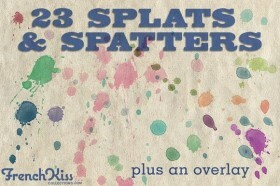 - Artists uses found, altered or manufactured objects and items to create a piece of art. This method has been used by Sculptor Debra Butterfield to come up with amazing pieces of art. - This is a 3D concept that utilizes multiple facets from different mediums and takes the whole space to generate a beautiful piece of art. It can be either site-specific or generic. Installations and performance arts are complex and mainly used to addresses narrative ideas and above all aesthetics on a much higher scale compared to sculpture. Its origin can be traced to a period after world war during the Dada art movement. - This is a distinct feature on pavements and streets mainly in the African-American neighborhoods. A 3D street painting is called an anamorphic painting. Anamorphosis as an art technique brings awe and clamor on artwork because when used it distorts a picture in a way that you can only figure out what it is if you view it from a vantage point. 3D artistic pavement is a 2-dimensional artwork drawn on an actual sidewalk or street and gives the observer or viewer a 3-dimensional optical illusion if viewed from a particular angle or say perspective. It is a piece of beauty, an art masterpiece giving viewers an incredibly captivating, breathtaking and realistic feeling once they figure out the correct angle or position. The most common 2- dimensional models you will find if you visit SaveOnPaving.com of a 2-dimensional models are where the edges of the page are parallel to two of the three dimensions, and the third dimension is portrayed through diminishing size, overlapping, diminishing size and any other techniques that could bring about the perspective. It's interesting, right!!! Then why don't you try it out? The world's great street artists like Julian Beaver, Kurt Wenner, Edgar Muller, Banksy, and Tracy Lee Stum have made a fortune through integrating traditional works of art with the modern order and making mind-blowing and world's most highly coveted works of art. Youths with artistic talent can indulge in this practice, and they will harness fulfillment, improve on their skills and not forget the fortune they can make from this talent. As they do street art they can also engage in commercial forms of art mainly in textiles, advertising, cultural fests, development of labels and logos and this is a fantastic way to earn a living. Thanks to the embracement of street art as part of the culture, it's now almost everywhere and indecent forms. Art is part of us, intertwined with our lives and found in almost every aspect of humanity. It embodies creativity and catapults it to a higher level. Creativity, in turn, builds us into great geniuses, and now that is how life becomes fun and worthwhile. It captures moments of joy, sadness, happiness, a celebration not for the benefit of the people of today but for generations to come. Art does not fade away, and it is timeless and new with every day that dawn on us. Art in modern society as was in the old culture has been a medium for expressing one's thoughts, and a means through which their beliefs manifest. Through this way of expression, I to the benefit of so many people within a society whose voices could not be heard. Artistic pavement is a platform for enriching an entire community through works of art. There are stress relievers, but none is better than a great piece of art. It manipulates human conscience by giving an individual some form of illusion, especially 3D art where one takes a journey to a fantasy world. The masses get lost in the moment, and phew, all stress is gone. For artists, impermanent nature of street art enhances imagination, creativity in progress, the ability to see things and imagine things unseen before and mental growth through a move from simple to intricate works of art. Works of art will be all over today, in Escape rooms, Theatres, Movies, and Music. It is defining us as individuals, and it’s a tool for improving lives, making us better each day. Artistic pavements are impermanent and legal. It is very distinct from graffiti which is more word based on street arts are a non-destructive image-based form of art. 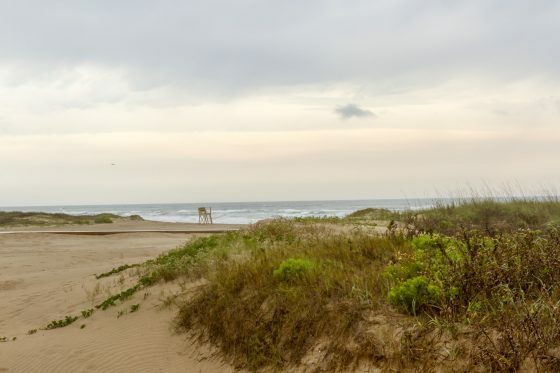 What happens when it rains? Art is more than a product; it is a form of creation too with each day bringing in a bolder, more creative piece of art compared to yesterday. So there is a tentative development of image and skill. It is ever work in progress, hence need for impermanence. After a piece of art is completed and audiences get an opportunity to admire it, then its purpose is served. If an artist has fully expressed him/ herself and the audience has observed creativity at its best, then the art getting washed away doesn't leave the artist with hard feelings. Street art is a ritual and not a marketable commercial product for auctioning for a fixed value. The artistic worth of a piece of an artwork is not defined by how much profits it is worth making. Its impermanence nature means it’s just for aesthetic value not as a gain in capital markets. Kurt Wenner was saying the impermanent nature of art makes him feel like he has offered an offering and the ritual is complete. That's the beauty of street art. Artistic pavement is enjoyable and a fulfilled process, but there is a lot of discomfort to the artist brought by nature, such as fatigue, scorching sun, extreme cold or heat, being treated to winds, rain, thirst and also being brutally treated by unapologetic city council workers. Bending over for long hours and concentrating too is quite a tedious process, but the outcome is rewarding. Artistic pavement is an incredible experience as you figure out what beautiful and magnificent pieces of art can do to dull streets, street walls, sidewalks. Think of peace of mind and heart on onlookers, think about the heritage, the moral lessons you could pass through art. 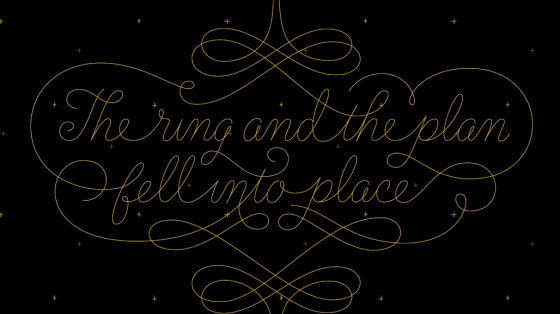 Honestly, it’s a ritual, and it's a fantastic experience that is both adventurous and great to pursue. You don't have to be a professional. It is an open party for anyone who believes they can do it. Photo booths have taken parties to the next level in the last couple of years. 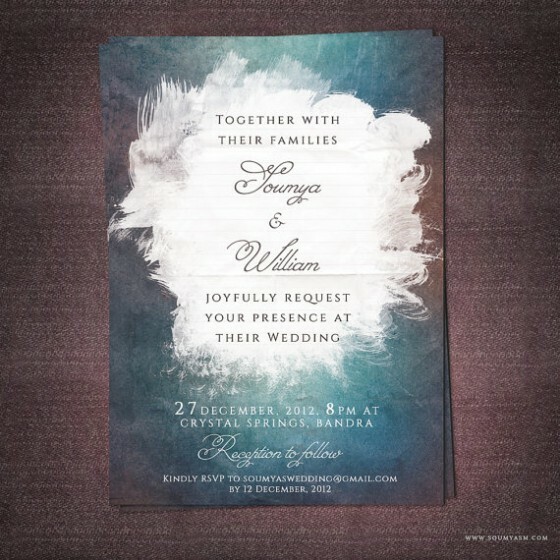 They have become an expectation to experience at weddings and most large events. They continue to thrive and outdo each other year after year. What started as classic simple white backdrops with funny props and decent photography, has turned in to colorful looniness on hyper-drive with all sorts of melange in the backdrop. While photo booth props seem to stay somewhat the same, the backdrops have gained creativity beyond imagination using anything from balloon arrangements, streamers of all types and measures to amazing use of colorful paper designs. Flowers of all paper and tissue types have been getting replaced by popular geometric inclusions. Backdrops can be used for so many different things! Not to mention using them for a wedding or special event such as birthday parties, corporate parties or showers, it will certainly boost the socially fun atmosphere while creating fantastically hilarious (usually) memories. Besides using them as an ice-breaker at your next party, many of these designs are just as well suited for bringing a splash to your home decor. Fall is a wonderful time of year to have your wedding, both because of the great food options (spiked apple cider cocktails! donuts!) and the gorgeous colors that are associated with the season. But you don't have to stick to a traditional palette of red, orange, and brown for your fall fete; here are three new fall wedding palettes that are perfectly seasonal, yet completely unexpected. Fall's classic brown gets softer and far more romantic with this palette. We love the way this look incorporates the soft, muted colors that have been trending for the past few years and turns them into an ethereal palette that is reminiscent of the forest in late autumn. 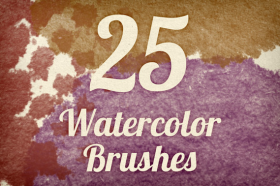 If you want to experiment with bold colors but aren't into orange and yellow, make a deep, rich shade of purple central to your color palette instead. Incorporate dusty green and creamy ivory, and replace fall's standard red and orange with magenta and peach for a vibrant look that would be absolutely beautiful on a sunny fall afternoon. Which of these fall color palettes is your favorite? 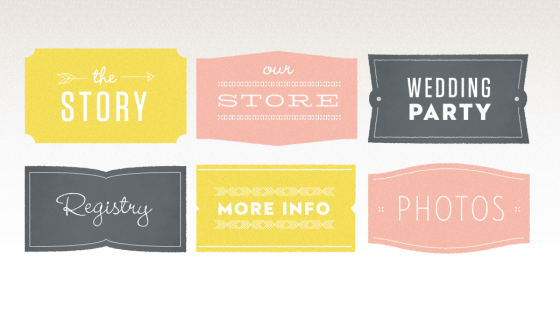 These days part of your wedding planning absolutely needs to include the construction of a wedding website. 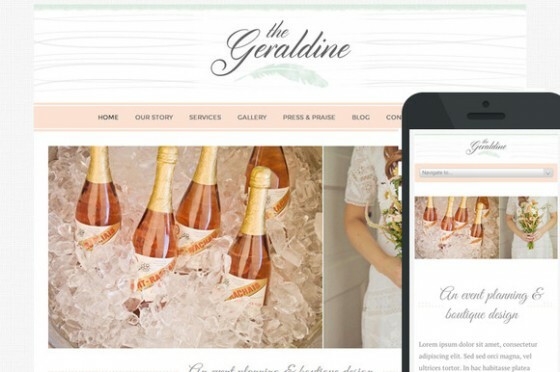 A wedding website is the key element that helps your guests know important wedding updates, where to go for the reception, and it's even a place that can help you keep track of your RSVPs. 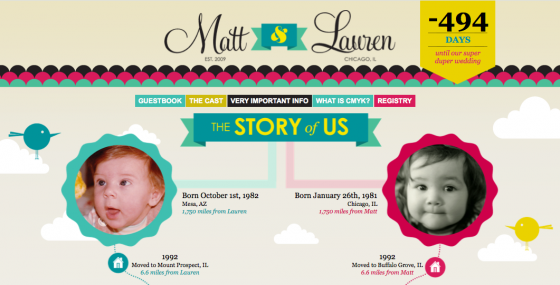 Matthew and Lauren's website was color themed! Woo hoo! 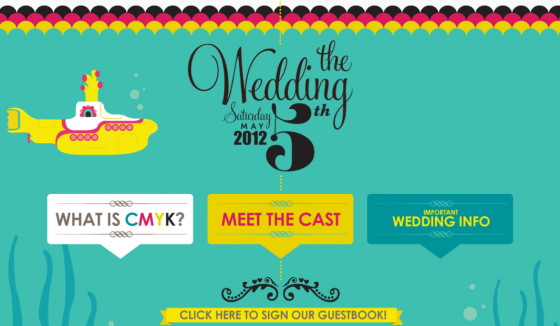 The CMYK theme was totally cool, and their wedding website matched the theme perfectly. 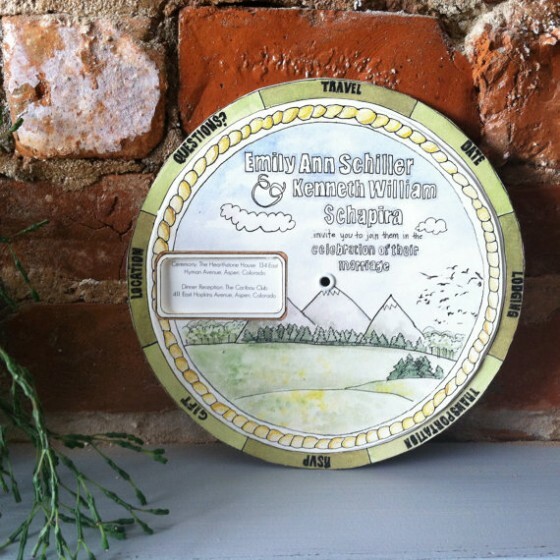 Their website includes a guest book, information about the wedding, the registry, and more. 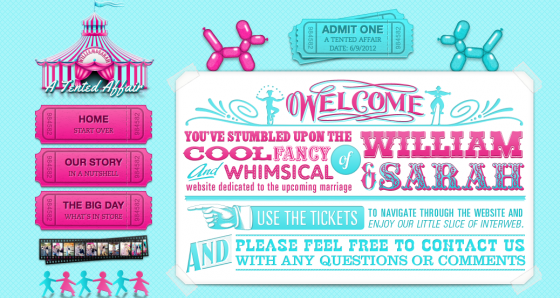 It's a fun and colorful site designed entirely by the bride and groom. 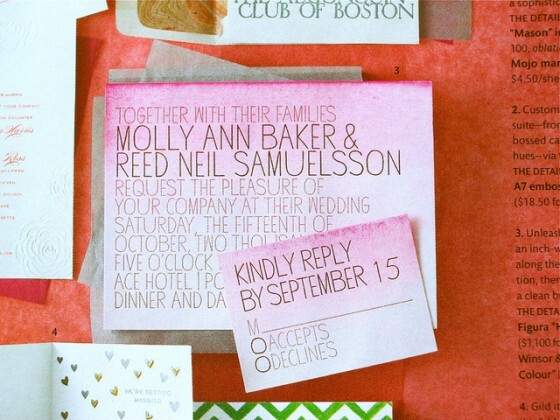 This cool couple decided to throw a fun and brightly colored circus inspired wedding featuring a big tent and ticket stubs as part of the theme. 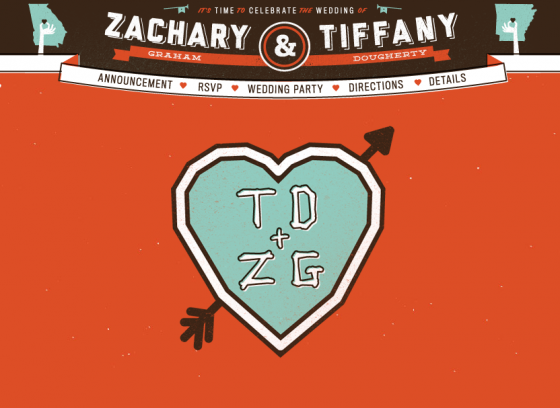 Their wedding website features incredibly bold colors and is actually easy to use! 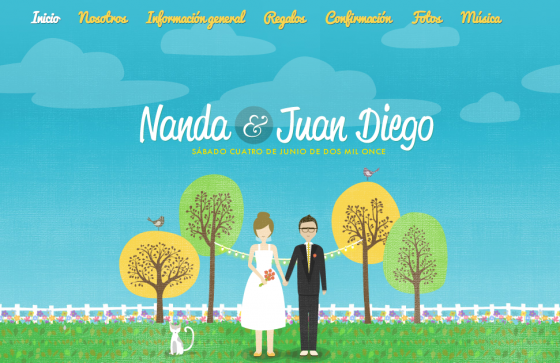 This wedding website features bold and contrasting colors, with creative typography and illustrations weaved in throughout the site. 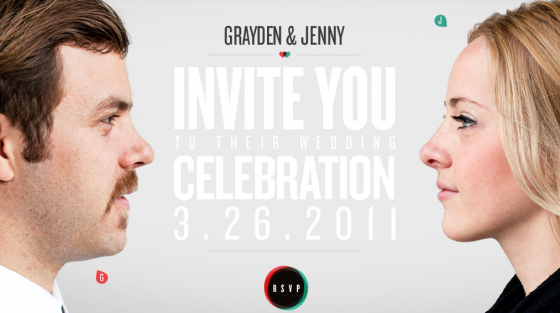 I'm head over heels in love with the design of this wedding site. 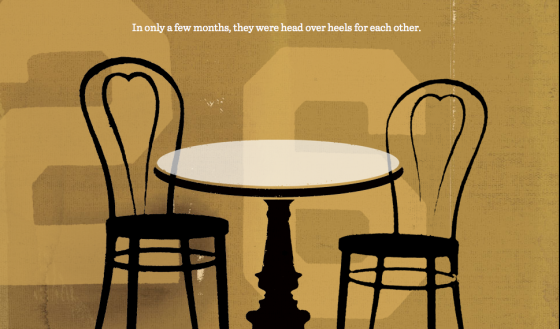 Not only does it have cool typography, and interesting illustrations, it tells the couple's story in a unique parallax design. 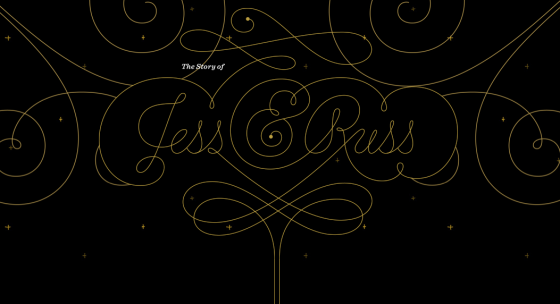 It's an incredibly sleek, elegant, and gorgeous website. 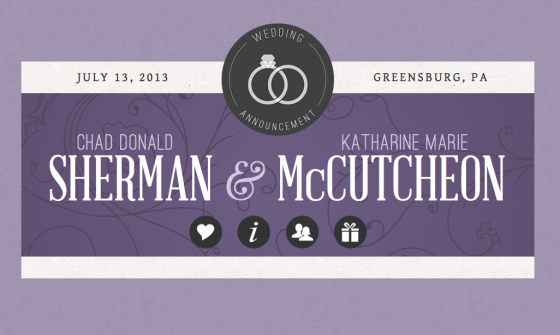 Karl and Gina's wedding website is not only romantic, it's incredibly cute and sweet. 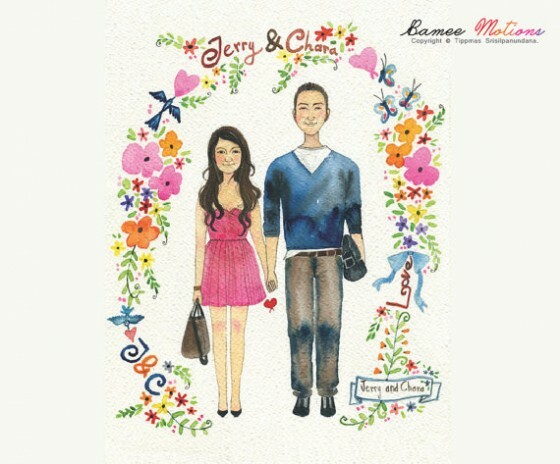 I love the color combination of tangerine and sky blue along with the sweet illustrated characters. 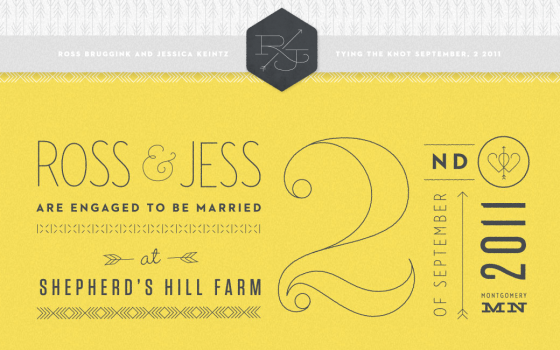 Ross and Jess decided to go incredibly hipster for the design of their wedding website. 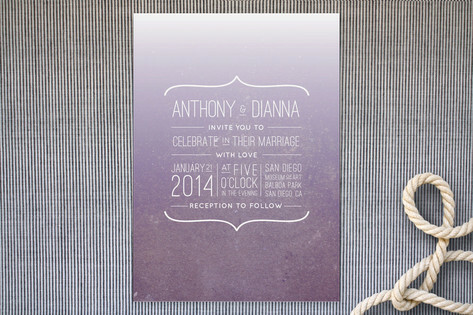 The design incorporates frames, and very chic color choices that are slightly muted but elegant. 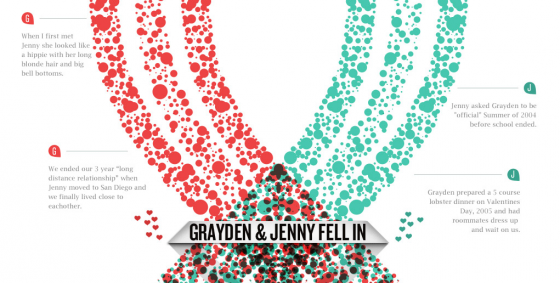 Jenny and Grayden decided to tell their love story with incredibly unique and cool graphics and an awesome color combination that isn't only trendy but works well together. 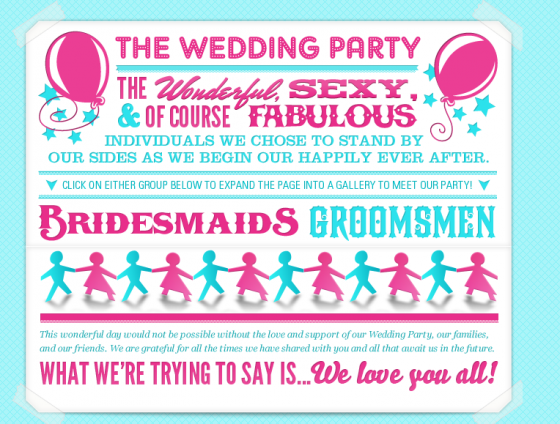 This wedding website is jam packed with fun and bright colors. 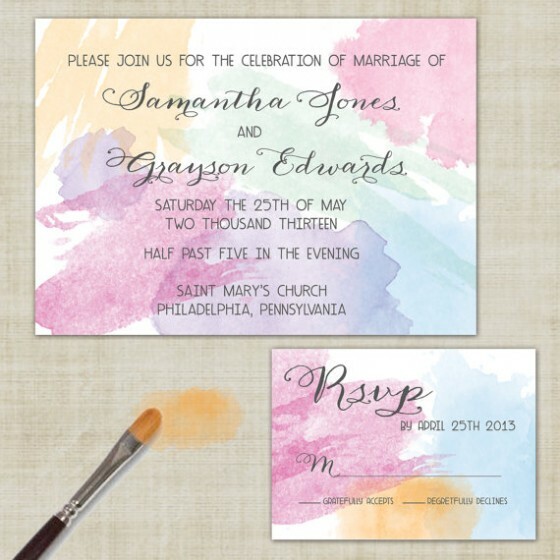 It's perfect for an outdoor summer wedding that will make everyone smile. 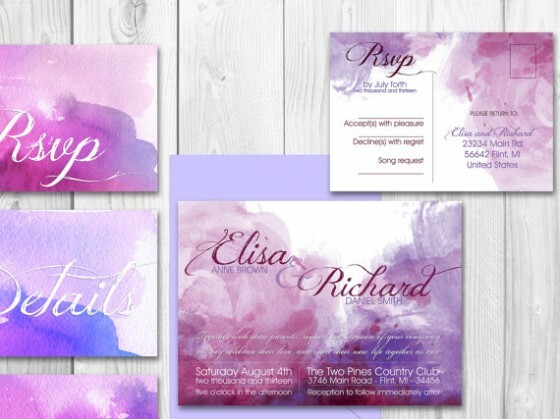 Purple is one of my favorite colors, and this lovely couple incorporates purple elements beautifully into the design of their website. 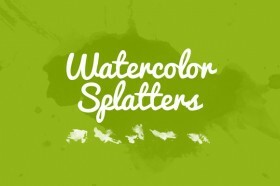 Watercolors always remind me of summer and spring, and I love how they blend together in a sweet and romantic fashion. 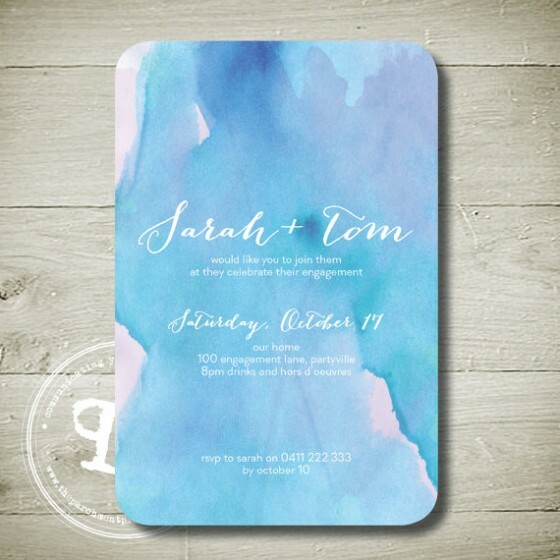 I can't get enough of the amazing color combinations you can create with elegant watercolor pieces, so I thought I'd share with you some of the most amazing watercolor wedding invitations. I hope you enjoy these, let me know if you come up with any cool palettes. As some of you probably know, I'm planning my wedding and totally obsessed with finding the latest and greatest trends when it comes to weddings. 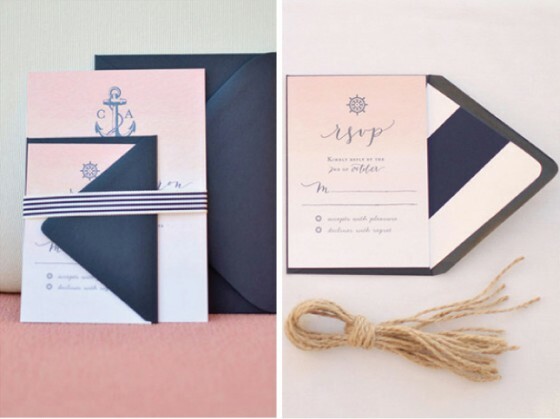 I've recently had a difficult time picking which colors I want to showcase in my wedding, so I've bee looking at a variety of different trends in color schemes for weddings. 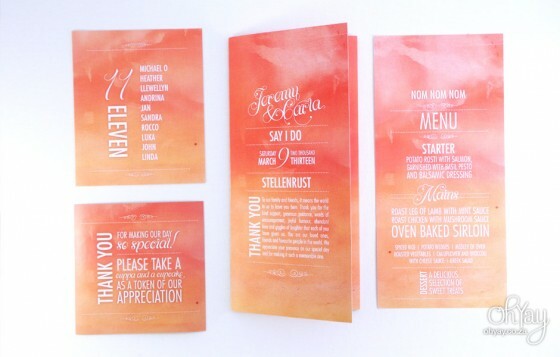 I stumbled across these awesome ombre wedding invitations, and had to share them with you. 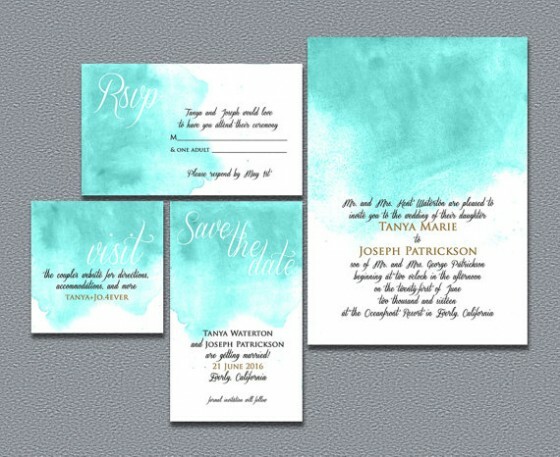 What do you think of this color/design trend for weddings?